An interview with MegMade founder, Meg Piercy. Hand-painted and restored furniture for everyday living. Today I have a very special post for you! 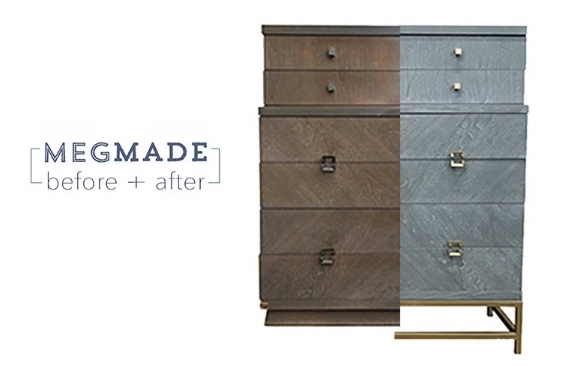 If you love the look of unique painted and restored furniture you need to know about MegMade, a Chicago-based showroom that offers furniture refinishing, upholstered pieces, and more. Since its 2012 inception, Meg Piercy, founder of MegMade, has grown her business from painting changing tables in her home basement to a booming business that has sold over 3,000 pieces of furniture and has shipped to over 30 states. I first heard of MegMade through one of my favorite podcasts, The Lively Show. In this episode Meg honestly discussed finding self-worth beyond work, marriage, and motherhood. I immediately checked out Meg's work and her one-of-kind furniture pieces have continued to appeal to me over the years. I believe it's important to bring objects and experiences into our lives that Elevate the Everyday, and Meg's furniture represents this so well. They are beautiful, functional pieces that you can incorporate into your daily life. After years of following her work I wanted to know more. Meg graciously agreed to an interview which you can read below! You clearly take great pleasure it giving new life to a piece of furniture. What is your favorite part of the process? I don’t know if it is a gift or a curse, but I can literally picture exactly what they will look like when we get them. Because of this, I still think the finding of the piece is the best part. Obviously the final reveal, where the beauty is displayed is pretty awesome too! What draws you to a piece of furniture and how do you decide if it's a good candidate for painting, refinishing, or new upholstery? Gosh, there are so many different aspects of a piece that draw me in. Sometimes it is the shape of the piece, the grain of the wood, the hardware and hopefully, all three at the same time. The brand is also a big draw because now that I have done over 4,000 pieces I know quality and there are definitely certain brands that deserve respect when it comes to craftsmanship, so even if it is not ideal hardware or grain, if it has the right lines, we can change the hardware and paint goes a long way. When I am looking for vintage pieces to re-upholster, I look for the lines of the piece. I am not currently into furniture that does not have a break int he upholstery. I love when the arms are wood or there is wood trim around the top. I love it because then you break it up with a pop of a different fabric or a piping that is a different color. Makes it more interesting. The before and after transformation! What are your favorite finishes and colors being produced in your shop? Do your favorites align with what customers ask for? Although I am a sucker for a good restore, our most popular color is Benjamin Moore Polo Blue. It is the perfect shade of blue that goes with anything, whether you are going preppy and nautical or dramatic with black and white - polo blue is the perfect color for you! With so much great inventory I would want to keep everything for myself! 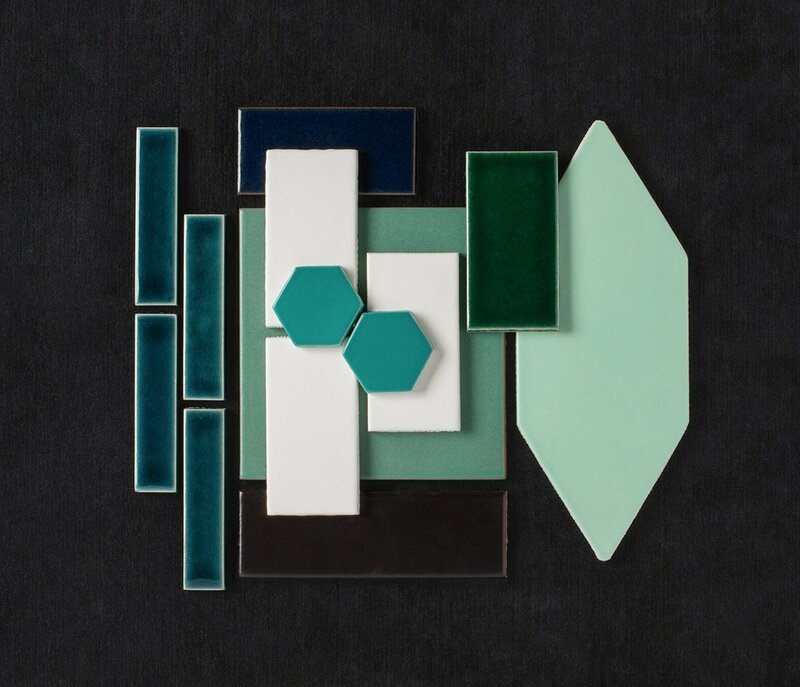 How do you decide which pieces to bring into your home and how do you use them in your daily life? Right! It used to be a problem and our house was a bit of a revolving door. It still sometimes is if I meet the perfect piece, but I take so much joy in finding the perfect spot for my most favorite pieces in client and customer homes now as I know they will appreciate it just as much as I do! If I offer the phrase “Elevate the Everyday” what does this mean to you? How do you elevate your everyday? Find the best in everyday. There is something to be thankful for in each and everyday and if you are able to hold onto that then you will stay positive and encouraged. Thank you to Meg for taking the the time to chat furniture and more! To get more of MegMade, follow along on Instragram to catch the latest furniture coming out of her shop and to get some major interior inspiration.